Significant changes to development planning processes have been foreshadowed in the current State Government planning review. A number of controversial changes have already been implemented which have implications for the future of heritage protection within the city and wider metropolitan area. 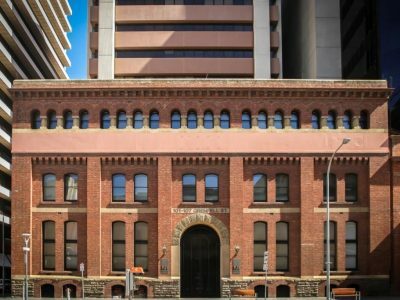 The National Trust of South Australia is convening a public forum to discuss the future of heritage in the City of Adelaide on February 20 in conjunction with the Hawke Centre at the University of South Australia. A panel of elected representatives will discuss how we can protect built heritage within future planning processes and offer their ideas and policies for securing a sustainable future for Adelaide’s built heritage. After the panellists present, there will be around 45 minutes for questions from the floor. The event is free, but bookings are required. Last year’s forum booked out prior to the event, so book now and don’t miss out! The forum will run from 6-8pm. Doors open from 5.30pm at the Bradley Forum, Level 5, Hawke Building, University of South Australia, North Terrace. Bookings can be made on the Hawke Centre website here. For more information on the forum visit the events page on the Hawke Centre website.